I'm not one to jump on a travel trend, let alone an accessory for my suitcase. As long as it has wheels, a halfway functioning handle and enough space to store my stuff, it's good enough for me. 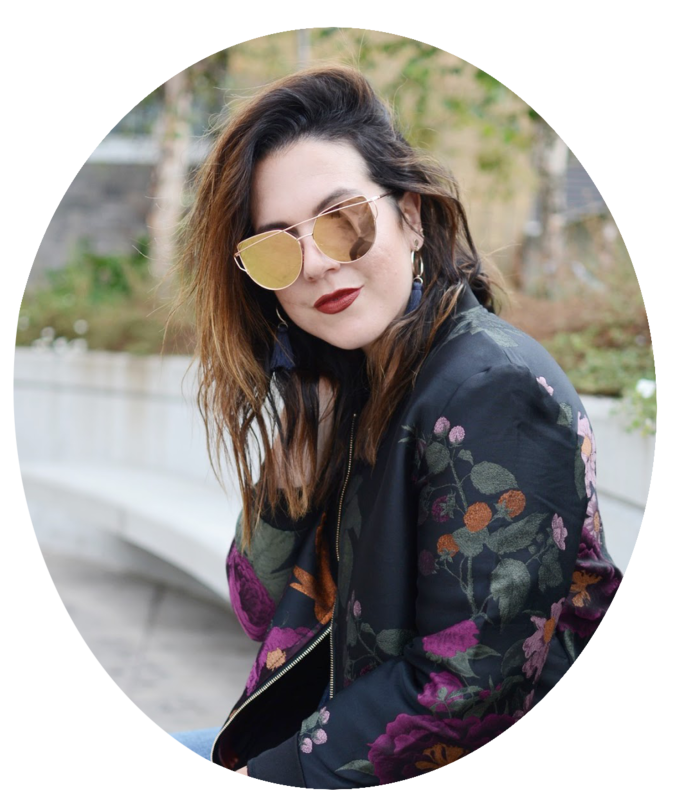 But when I started seeing advertisements and a few of my favourite bloggers talking about travelling with packing cubes, I wanted to know more. So what are they and what do they do? Allow me to explain. 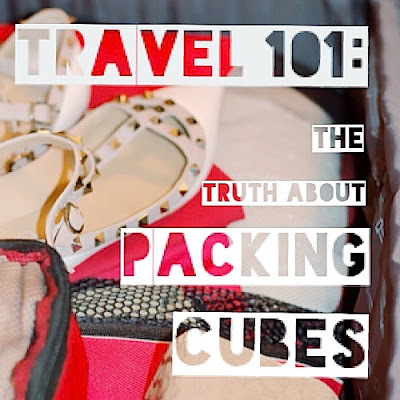 By definition, packing cubes are "cube-shaped bags designed to fit inside luggage and hold and protect clothing, shoes and other small or large items. 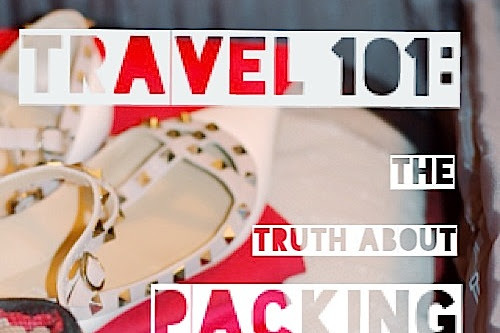 Packing cubes are great for preventing wrinkles, keeping organized, and fitting more clothing in each piece of luggage," according to the eBags blog. With airline baggage allowances firmly grounded at one bag, and a 20-day trip to Italy on the horizon, I couldn't be more excited and intrigued by the idea of optimizing my suitcase space. I purchased a set of packing cubes (they usually come in packs of three) at Wal-mart. The small, medium and large-sized canvas bags are lightweight with a mesh top and a zip-around opening. As a point of reference, I'd say the large size is the equivalent of two notebooks placed side by side; the medium is like one notebook; and the small is similar to half a notebook or a medium-sized paperback book. My goal was to fit 20 outfits, underwear, socks, a bathing suit, sleeping clothes, a blazer, two pairs of shoes and toiletries into a 26-inch upright Delsey suitcase. Safe to say I was counting on these packing cubes to work their magic in my overstuffed case. I ended up having to buy a second package of packing cubes (3 bags) as I couldn't fit more than 11 outfits into the large one. In the end, I decided to split the 20 looks into the two large bags, use one medium for underwear, one for socks and beach gear and had the two smalls left unused. Though it's difficult to tell from the above photo, the packing cubes saved me a ton of space. Where my clothing had previously filled the suitcase to the brim, the cubes condensed my clothing to allow a cushion of approximately three inches around the entire suitcase to the top zipper. Overall: Packing cubes are an inexpensive way to maximize your suitcase without deploying the extended zipper. I found they kept my clothes contained and (relatively) wrinkle free. When full, the cubes create square space in the bag to increase stacking capabilities. Bonus: The light bags are easy to throw into hotel drawers if you prefer to unpack your suitcase at your destination. Good post, thanks! I've been considering packing cubes and this blog really helps.